Yes, This Simple WordPress Website in Fontend Has Belief Network Based Power! 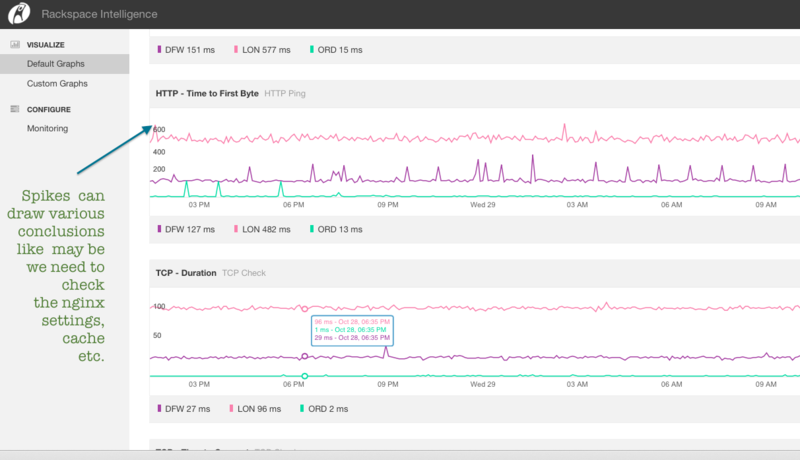 Rackspace Cloud Intelligence is Not So Easy Graph Than it Appears. We only set the devices ( read as each Cloud Server Instance ) to be configured for capturing data for Cloud Monitoring. It works like a sensor. Actually, if we can o further high-up, each devices can intelligent agents. In that case, we do not have to manually do SSH and kill app or fix the issue. Google is employing machine learning in Data Center, do you think Rackspace Cloud has not done any work? Easy thing! There are many middle aged surgeons love their anesthetists very much. There are lot of reasons. Belief Network, Machine Learning and Rackspace Cloud Intelligence – I can not see any intelligence! That simply means, your server’s parameters are not manually tweaked. For example, if we optimize my.cnf with Major Hayden’s script for the database server; we might need to increase the tolerance threshold for memory. For a 2GB server, with well optimized condition, with minor load, 85% RAM consumption can trigger alert. But, you as a human know, you actually left no less than 10% space for real emergency. As it is a virtual instance, with lesser process, we can take such risk. Rackspace actually have a relationship with a provider who develops AI, ML related closed source software. Right now, the level of intelligence is echo "Your patient will not die! "; via email, gradually the whole service will possibly control the nodes to some extent. This Article Has Been Shared 1256 Times! Cloud Hosting with development potential has much to offer to the php powered platforms, principally the CMS like WordPress. Specification for PaaS Management has been in the process to set as a standard by Oracle and their partners as Cloud Application Management for Platforms. Cite this article as: Abhishek Ghosh, "Belief Network, Machine Learning and Rackspace Cloud Intelligence," in The Customize Windows, October 29, 2014, April 23, 2019, https://thecustomizewindows.com/2014/10/belief-network-machine-learning-rackspace-cloud-intelligence/.